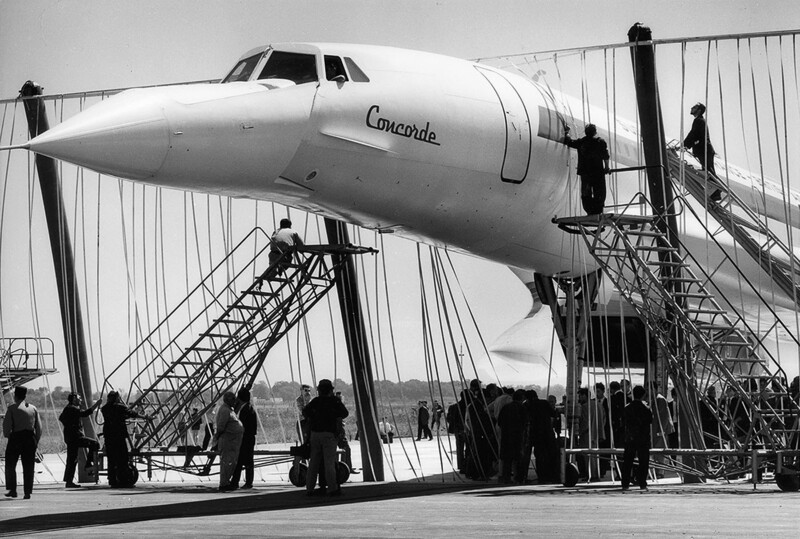 Today we pay tribute to the Concorde. A masterpiece of engineering design. 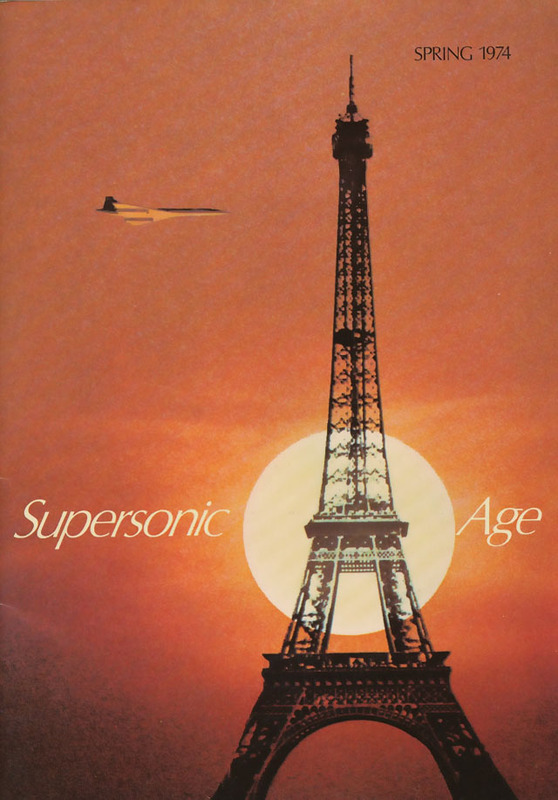 An aircraft of mythical proportions whose sonic booming sound warned you (and everyone on the ground) in no uncertain terms "we're flying at supersonic speed, Paris-New York, only 3.25 hours...yeah baby"! 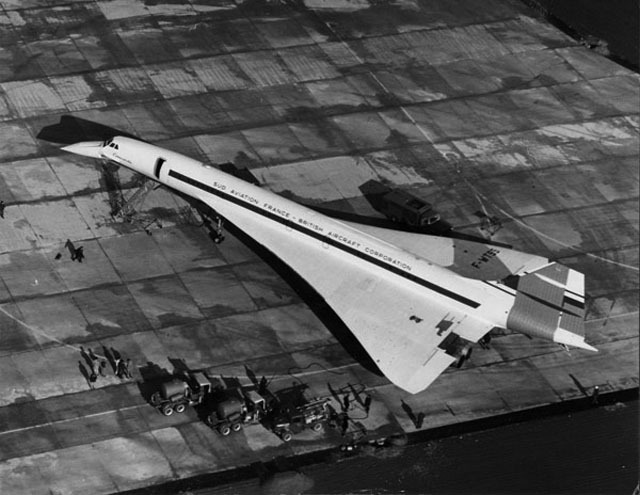 The Concorde was the brainchild of the designers at the British Bristol Aeroplane Company and the French Sud Aviation. Construction of two prototypes began in 1965 and they were presented to the public at the Paris Airshow in 1969. 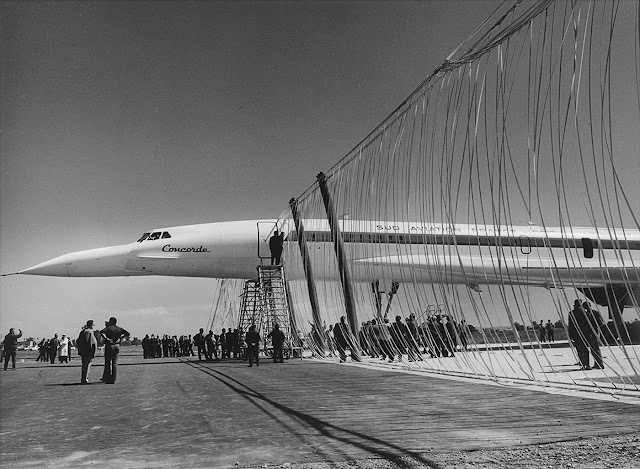 The supersonic Concorde with its beautiful streamlined design is regarded by many people as an aviation icon and an engineering marvel. It is a masterpiece of the Space Age design movement. 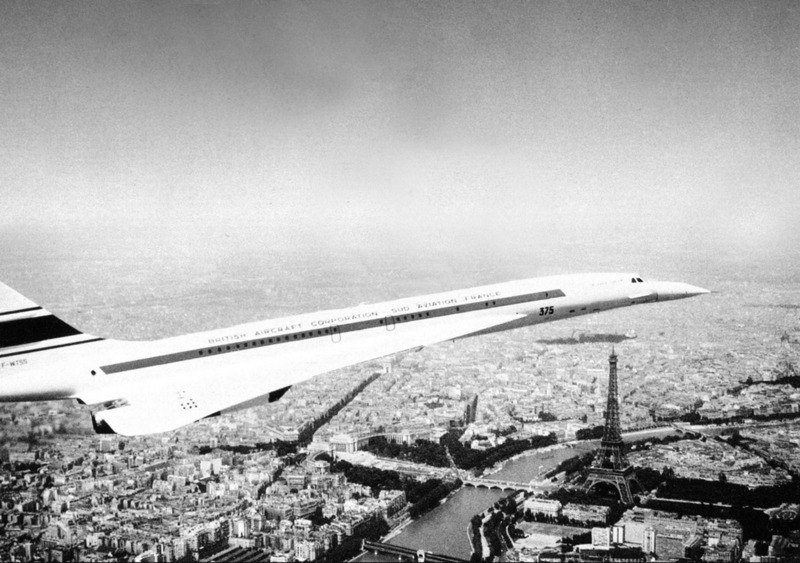 The Concorde was the ideal way for Jet Set travel in the early 1970s. 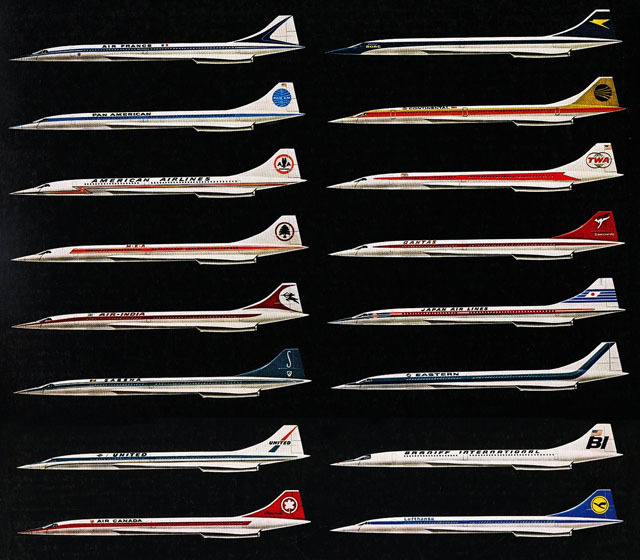 Although jet passenger service in the 1950s was initially marketed primarily to the rich, the Concorde opened new intercontinental doors for the international Jet Set which were no longer limited to Capri or Saint-Tropez. Suddenly, people where socializing in Paris, New York and London for the weekend. Flying with the Concorde was ultimately the coolest way to travel..until the oil crisis hit in 1973. While Concorde had initially held a great deal of interest from different airlines, taking in pre-orders from at least 16 different nations, the project was hit by a large number of order cancellations. Public concern over the 1973 oil crisis and the subsequent increase of gas prices and the environmental issues presented by a supersonic aircraft (the sonic boom, takeoff-noise and pollution) had produced a dramatic and unfortunate shift in public opinion. By the time the oil crisis subsided, only four nations remained as prospective buyers: Great Britain, France, China and Iran. Only Air France and British Airways (the successor to BOAC) would eventually follow through with their orders, with both the French and British governments taking a cut of any profits made. 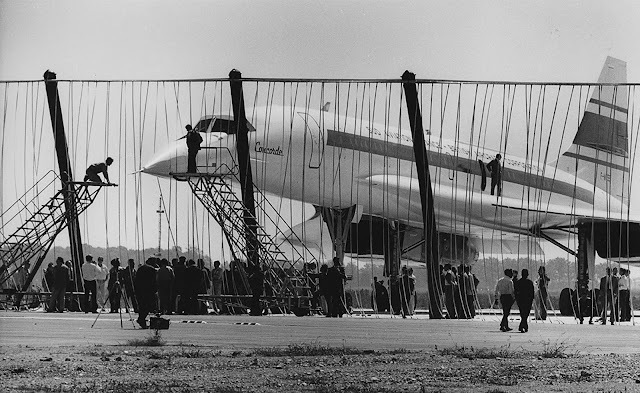 During the series of test flights conducted by Concorde, a large number of world records were set, several of them remain unbroken up to the current day. 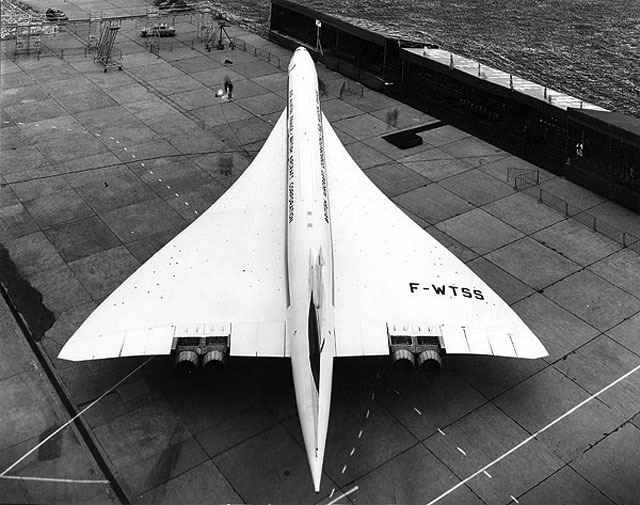 On April 10th 2003, Air France and British Airways simultaneously announced that they would retire Concorde later that year. Although Concorde was technologically advanced when introduced in the 1970s, its high fuel costs and rising maintenance costs had made the supersonic aircraft unprofitable for Air France and British Airways by the early 2000's. This although a one way ticket between London and New York cost about $7,400.00 at the time they decided to phase out the Concorde. It was still not enough to pay the bills. Just a few years before its final demise, British Airways paid a wonderful tribute to the Concorde by placing a giant 1/2 scale model of the aircraft in Times Square New York. It was placed four stories above the most famous and busiest intersection in the world: Broadway and 42nd Street, directly across from One Times Square (site of the New Year's Eve Ball Drop). Throughout the history of passenger transport there has been a close relationship between speed of travel and growth of traffic. An improvement in the 'supply' of transport in the form of increased vehicle speed, with consequent benefits in shorter journey times and improved frequencies, has always been matched by a growth in 'demand' - by increased traffic. 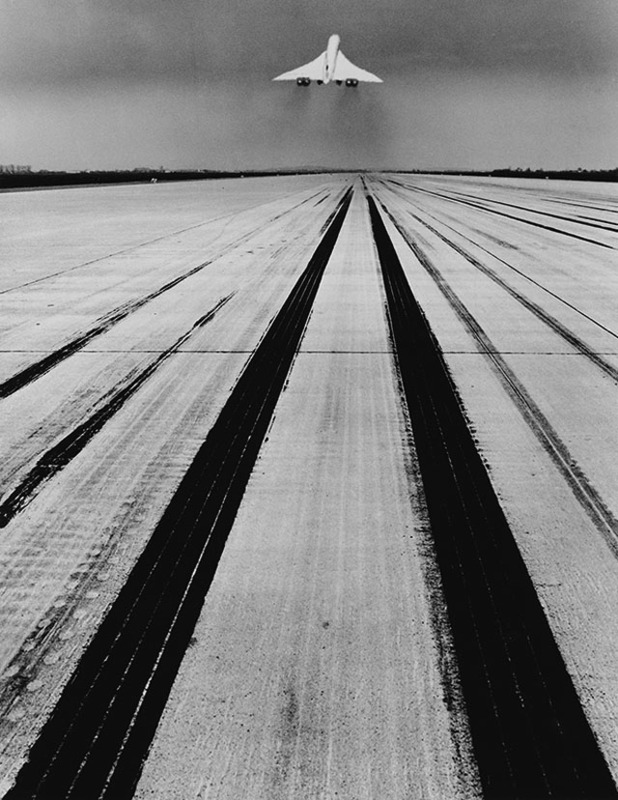 This close connection between speed and traffic expansion is most clearly marked in the development of civil aviation. Whenever the airlines have been able to offer increased speed, air travelers have been eager to buy. 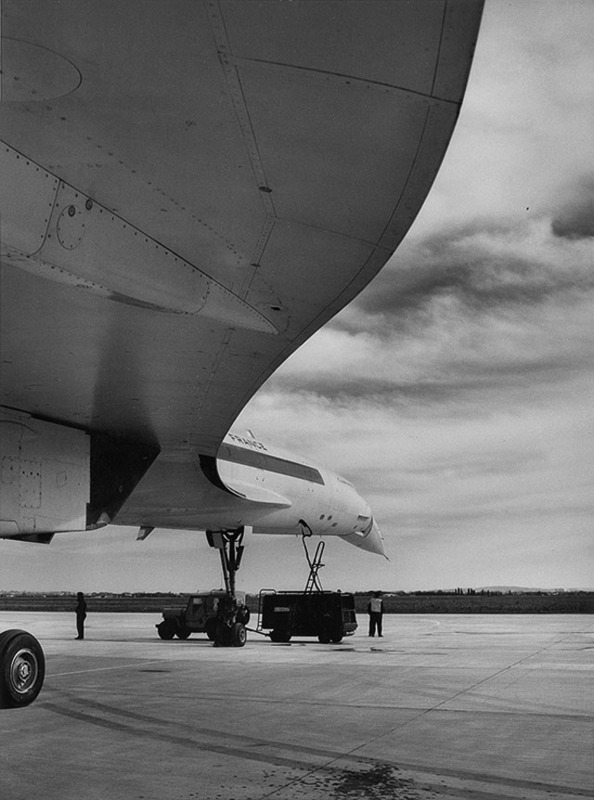 The last big step forward in cruise speed came with the introduction into service in the late fifties of the larger subsonic jets which helped to spark a substantial increase in traffic, particularly over the North Atlantic. 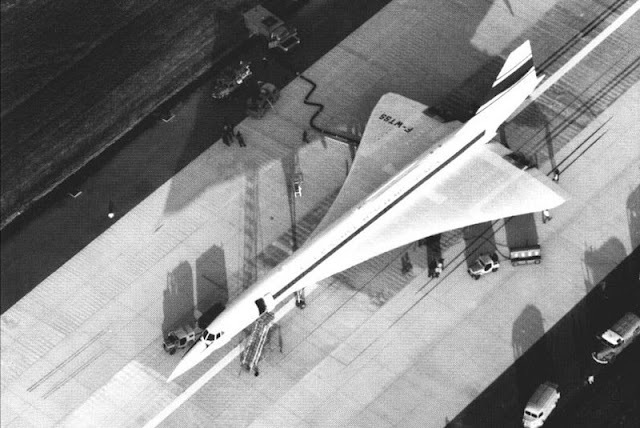 Concorde will be the next step forward. Its supersonic cruise speed will cut by half the present fastest flight times on long-haul sectors. As a result, it will undoubtedly play an important part in building up international and intern-continental air traffic in the seventies and eighties. For the first time it will be possible to complete many of the world's longest air journeys within the space of a working day. History has shown that, whatever the form of transport, when this point is reached an upward surge in traffic always occurs. 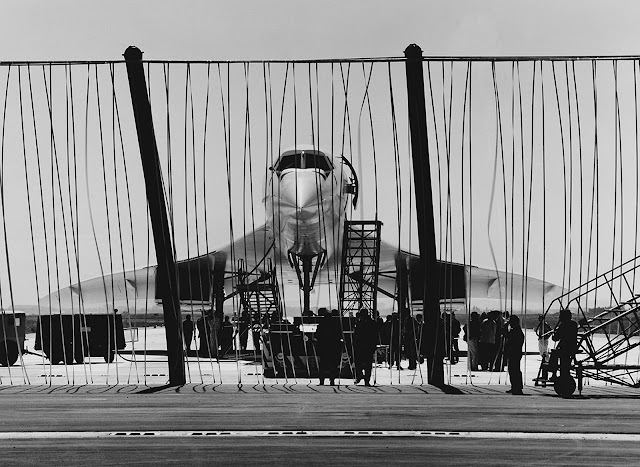 This 'time barrier' will be breached, for example, on a number of Pacific routes, and this area, with its long sector distances and seaboard or island airfields, is tailor-made for Concorde operation. 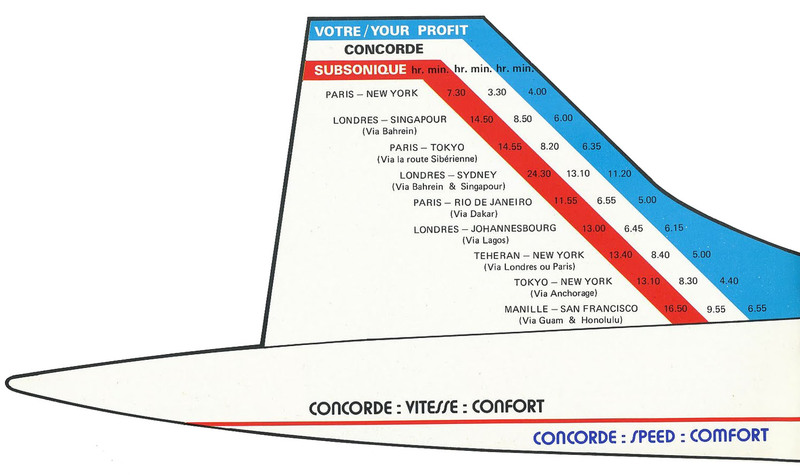 By the late sixties, Concorde service will be available through most major airlines including Air France, Pan American, American Airlines, M-E-A, Air-India, Sabena, Boac, Continental, TWA, Qantas, Japan Air Lines, Eastern, United, Air Canada, Braniff International and Lufthansa. Image Credits: Jean Dieuzaide, Air France, British Airways.